Excellent Visibility & Access: The Property is located off of a signalized intersection of Harlem Rd and Plantation DrStrategically Located! 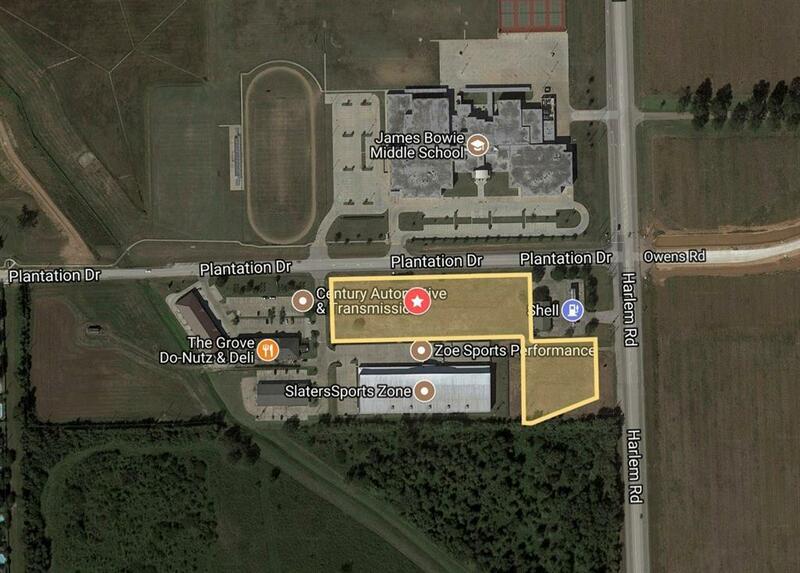 The Property is in close proximity to US-90 and is approximately 1 mile west of Grand Parkway. Surrounded by West Houston Communities: The Property is ideally located on Harlem Rd on the southern border of the Harvest Green master-plan community and close to Aliana. 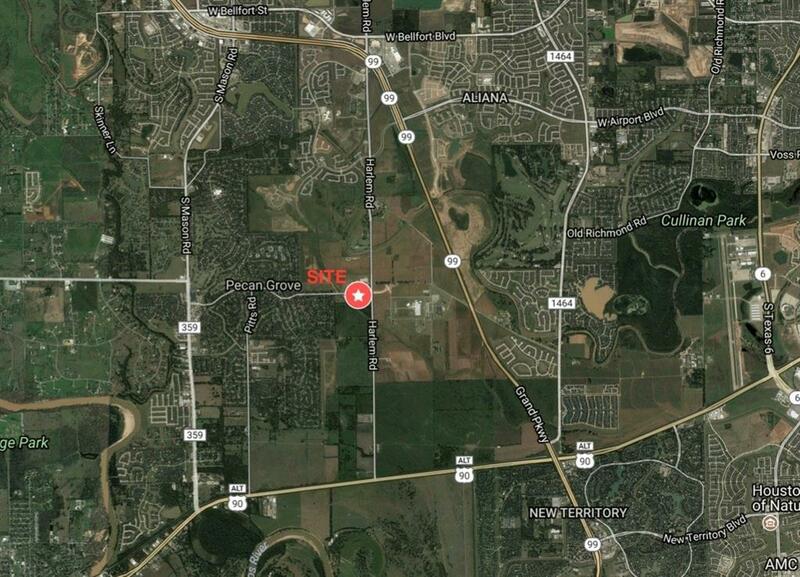 Booming area for development!The immediate area is projected to have 55,000+ homes by 2021 (5-mile radius). Avg. income is over $110k/yr. within a 1 mile radius. Est. Population growth of over 14.5% expected between 2018-2023.